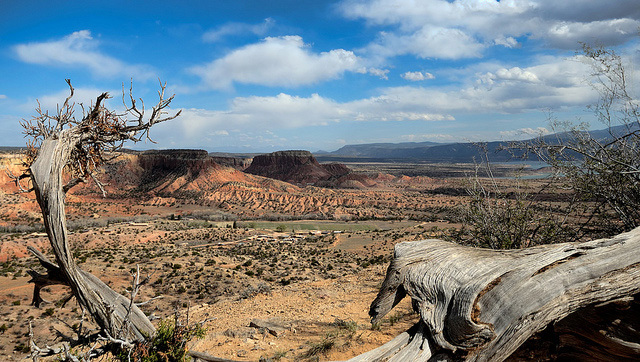 Overlooking Georgia O'Keefe's Ghost Ranch in Abiquiu, New Mexico; photo by Dennis Larson on Flickr (non-commercial use permitted with attribution / share alike). you were able to achieve. is a free man’s enchantment.